We were busy painting the bathroom and I just wanted to toss something in the oven real quick, so I wasn’t expecting anything good to turn out, but VOILA~! A miracle happened! 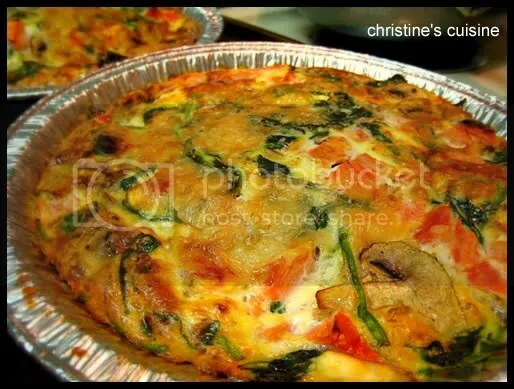 What’s in the Baked Omellette? Simply beat a dozen eggs, season with salt and pepper. 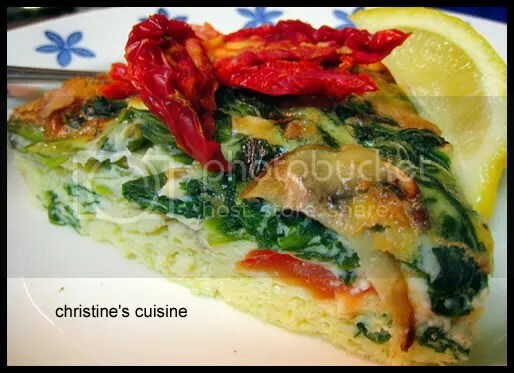 Mix steamed spinach (remove excess water), sliced white mushrooms, diced tomatoes, feta cheese in the egg mixture. 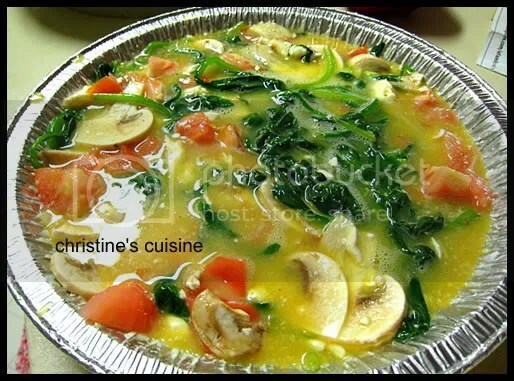 A dozen eggs is enough to fill 2 6″ pie pans. Divide the mixture into the pie pans. Sprinkle parmesan cheese on the surface before baking at 400 degrees for 30-40 minutes in a pre-heated oven. This entry was posted in General Western. Bookmark the permalink.